Posted January 2nd, 2015 by jonathan Stratman & filed under Uncategorized. Arianna Russell is a 40 under 40! An independent panel of judges has chosen 40 up-and-coming professionals for Springfield Business Journal’s 2015 class of 40 Under 40. Since the inaugural year in 1999, the 40 Under 40 awards continue to honor individuals based on their professional and community accomplishments. Chosen by an independent panel of judges comprising past 40 Under 40 recipients, this year’s honorees, in alphabetical order, are: Noah Alldredge, BigTime Results LLC;Barbara Barnett-Stillings, Christian County Circuit Clerk’s Office; Jeremy Brokate, Brokate Janitorial LLC;Carrie Brown, Elliott, Robinson & Co. LLP; Angie Burlison, Retail Confectioners International; Justin Butler, UMB Bank; Eric Claussen, city of Springfield; Garra DeLong Crews, Springfield Public Schools;Rochette Dahler, Little Sunshine’s Playhouse; Ryan DeBoef, Missouri State University; Leslie Forrester, Springfield Regional Arts Council;Luke Fraser, Springfield First Community Bank; Michael Gandy, Arvest Bank; John Gore, Franke, Schultz & Mullen PC; Allison Greenwade, The Greenwade Law Firm LLC; Lindsay Haymes, Springfield Area Chamber of Commerce; Christopher Hoeman, Greene County Prosecuting Attorney’s Office; Stacey James, James Financial Partners LLC; Chris Jarratt, Revel Advertising; Weston Kissee, Edward Jones; Mary Kromrey, Ozarks Regional YMCA; Mike Kromrey, The Watershed Committee of the Ozarks; Stephanie Lewis, Sumits Hot Yoga LLC; Kezia Lilly, Mercy College of Nursing & Health Sciences of Southwest Baptist University; Aaron Little, BKD LLP; Steven Loehr, Loehr Chiropractic & Acupuncture LLC; John Lopez Jr., The Howliday Inn Pet Resort LLC; Summer Masterson-Goethals, Legal Services of Southern Missouri; Jennifer McClean, Mercy; Michael Miller, Lowther Johnson Attorneys at Law LLC; Kayce Morton, CoxHealth; Arianna Russell, Bodacious Cases LLC; Stephanie Shadwick, nForm Architecture LLC; Greg Snider, Ledgestone Capital Management LLC;Marc Truby, Nixa Area Chamber of Commerce; Amanda Tummons, Husch Blackwell LLP; Ryan Uzzell, Old Missouri Bank; Laura Whisler, Springfield Convention & Vistors Bureau; Craig Wright, Strategic Financial Concepts Inc.; and Zachary Zweigle, Ozarks Technical Community College. 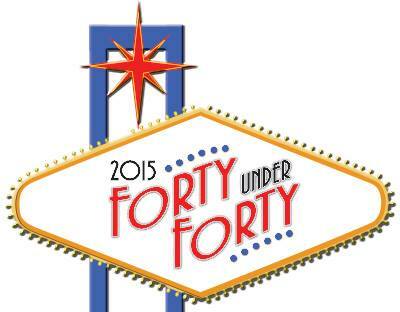 The 2015 class of 40 Under 40 will be celebrated during a 5 p.m. ceremony March 24 at Ramada Plaza Hotel & Oasis Convention Center, 2546 N. Glenstone Ave. Tickets are $30 apiece and can be purchased at SBJ.net/4040. SBJ has partnered with Big Brothers Big Sisters of the Ozarks for the 40 Under 40 event in an effort to raise awareness and money for the program goal to help children reach their potential through professionally supported, one-to-one relationships with volunteer mentors.